Last month some of you may have heard me whining on Twitter about my crockpot taking its last breaths of air. Well, luck must have been on my side that day because a couple of weeks later, this baby was on my front porch! 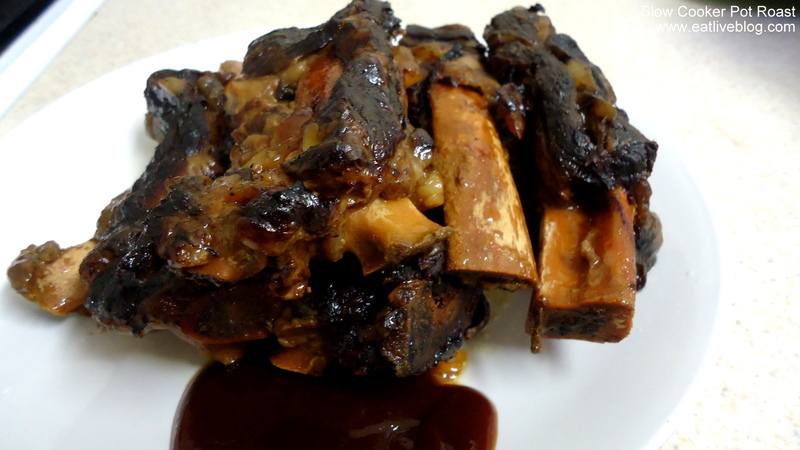 Rub the ribs with seasoning, place them in cooker, add 1 cup BBQ sauce, 1 cup water or beef broth, and cook away! 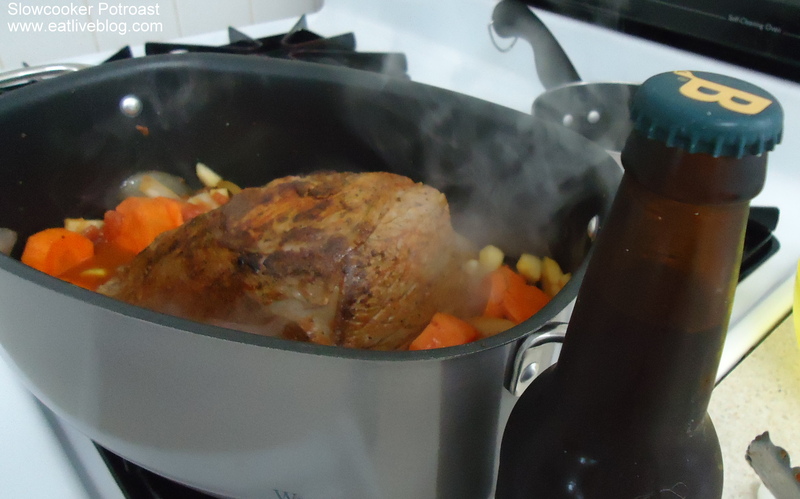 But next I had to put it to the real test…slowcooker potroast. I had to test out the stainless steal pot, and the fact that you can brown your items on the stove in that very same pot! It worked like a charm and eliminated extra steps, and extra pots to clean up. For my potroast, I decided to take an autumn approach. I added some diced apples and Homemade Oktoberfest beer to the mix. That’s right, the very beer Ryan brewed himself! 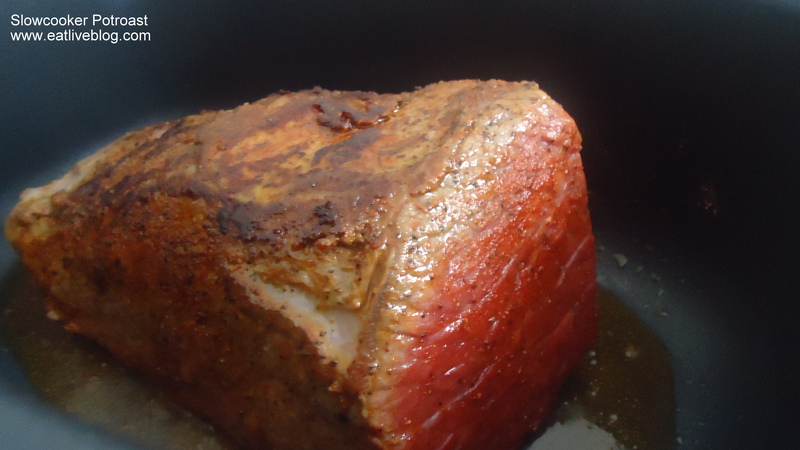 These two ingredients gave the roast a slightly sweet yet robust flavor that I would be happy to repeat again and again! I whipped up some mashed potatoes to go alongside the roast and veggies, and a delicious fall dinner was served! 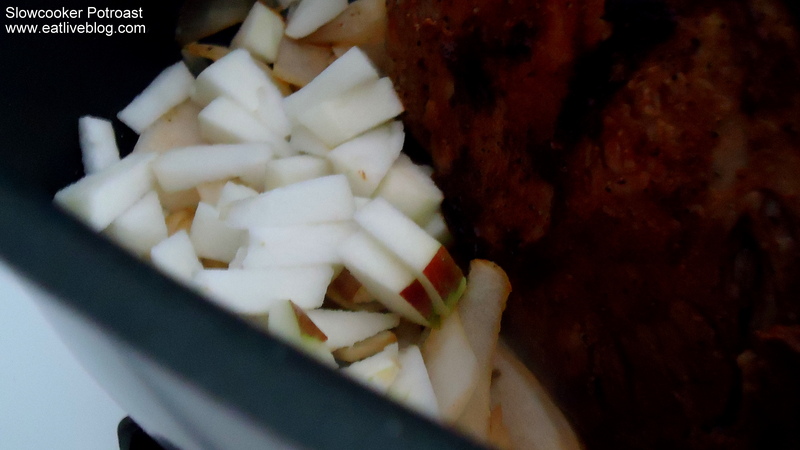 I actually think that the apples will become a permanent staple in my roast recipes. They really gave the gravy that bit of extra sweetness that made it so, so good. And now for some REALLY exciting news! West Bend has offered to sponsor our next #CrockPotWed Twitter Chat by giving away a Versatility Cooker to one of the chat participants! Our chat will be on Wednesday, November 16th, 6pm – 7pm, so mark your calendars! All you have to do is participate in the chat, at the designated time, by using the Twitter Hashtag #CrockPotWed. If you are not on Twitter, you can follow along with the chat here. Unfortunately, you must participate to be able to win. Serve with egg noodles, mashed potatoes, or just enjoy it on its own. Disclosure: West Bend provided me with the Versatility Slowcooker in exchange for a sponsorship of the upcoming #CrockPotWed. I was not required to write a review, and as always, all opinions are my own. Just happily stumbled upon your site via Dashboard. Sounds like a perfect hearty recipe for the cooling fall temps. Well done and congrats on the slow cooker. Cheers! 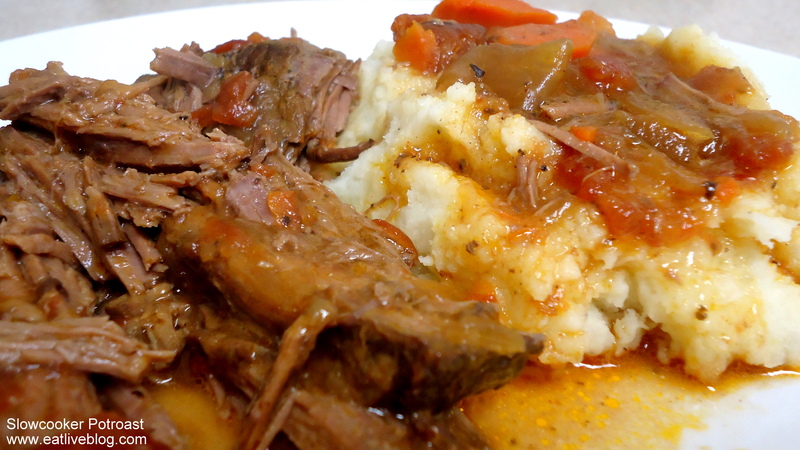 I love pot roast. It looks beautiful! So glad you are enjoying the new slow cooker. West Bend is SO generous! 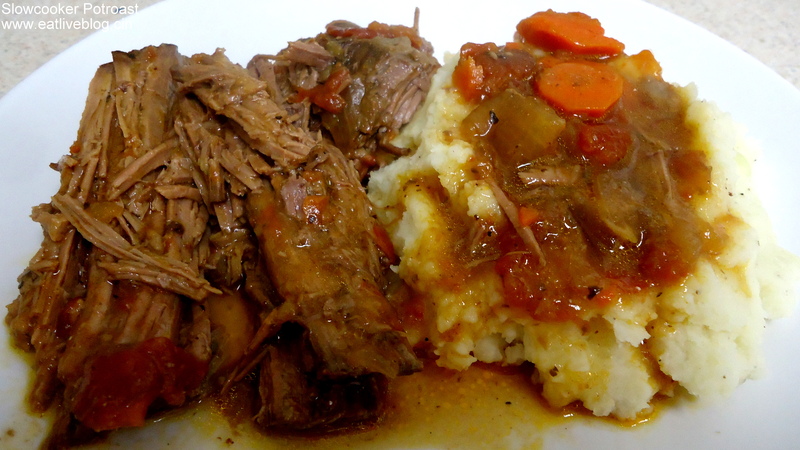 I’m looking forward to more slow cooker recipes from you! That looks awesome, especially the potatoes with the gravy. Mmmm! I’m hungry now! 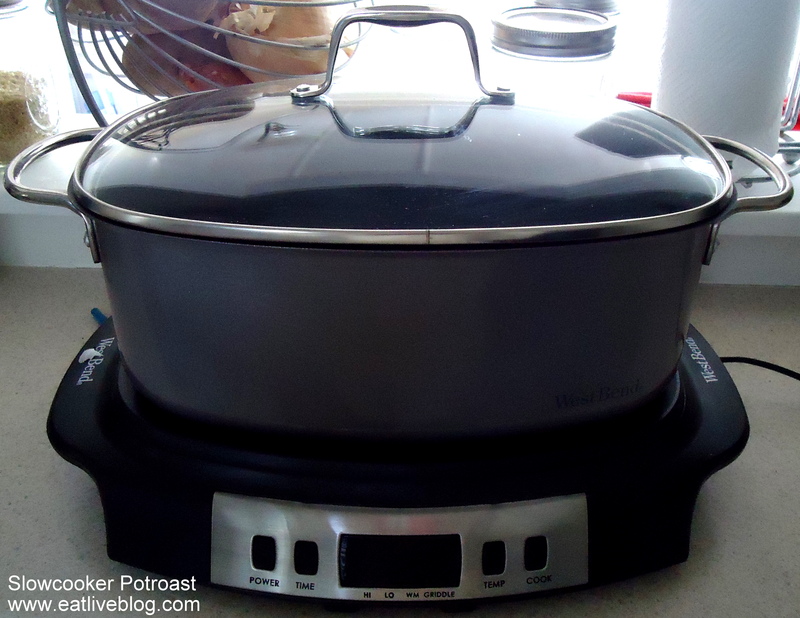 I am on my third Westbend slow cooker in 35 years, soon to purchase my fourth. They are the best small appliance I own. Forget glass crock pots that break and chip and are so heavy you can’t handle them when they are full. 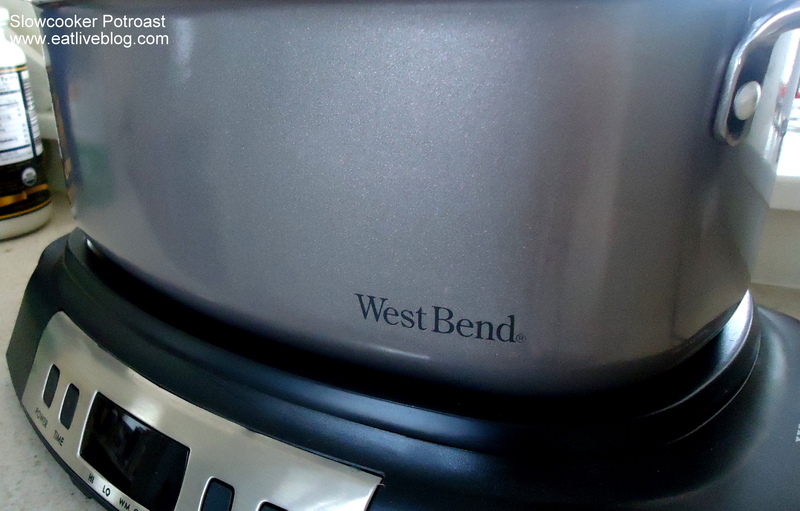 I recommend my westbend to everyone because of the versatility of being able to brown on the stove before slow cooking. My first one had a glass (pyrex?) lid. The pot can also go in the oven. The pyrex lid is oven safe and can also be turned over to use as a serving dish since the handles are on the side. I saved that lid to use on my subsequent Westbends since I noticed the lid style was changed and could not go in the oven. I’ll never use a glass croc pot again.